At the CFMEU, your family is our family. That's why we support the amazing work that happens in the children's ward of the Canberra Hospital. 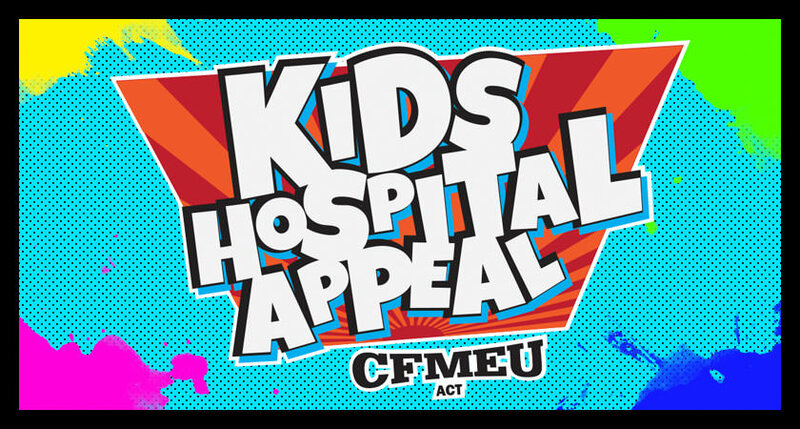 The CFMEU Children's Healthcare Trust donates money each year to the Hospital Foundation to support the children's ward, and we want this year to be the biggest yet. In the lead up to Good Friday, we're running the Kids Hospital Appeal. We'll be running BBQs on ACT construction sites, as well as selling special Kids Hospital Appeal flags to hang on cranes across the ACT. Even better, in conjunction with The Tradies Group, we have guaranteed the minimum donation at $10,000. Keep an eye on this page, your email and our Facebook page for all the latest!